When it comes to deals on amber liquor, this neighborhood is a good bet. Once, you could’ve sidled up to most bars around Capitol Hill and gotten a generous shot of whiskey for under five bucks. Or if you wanted to splurge, a fine bourbon for under $10. Those deals are harder to come by now. That’s why discounted bourbon or scotch nights have become the new happy-hour shtick around Capitol Hill, offered on slow nights to drum up business much like Taco Tuesday or Margarita Monday. What to drink, though? Japanese single malt remains the most sought after. 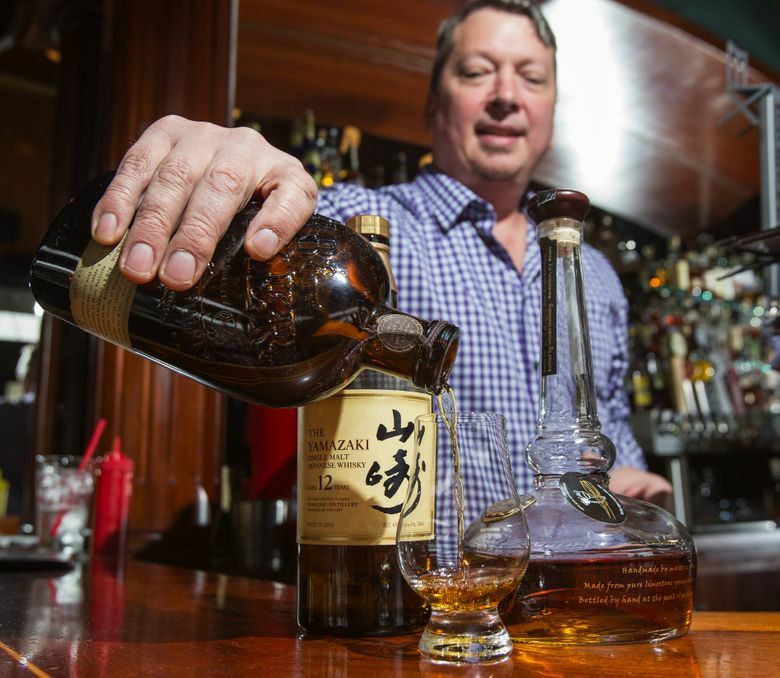 This past winter, most Seattle bars sold out of Yamazaki. Since then, many have restocked, but at a higher price, charging up to $100 for some of the rarer expressions. The single malt from Westland Distillery in Sodo is another big hit with the cool kids. It’s an affordable local brand and has also been anointed the nation’s best small-craft whiskey by American Distilling Institute. Here are 10 Capitol Hill bars to check out for good whiskey deals. Its half-off Whiskey Sunday is arguably the best deal in Seattle. Most American whiskeys including Michter’s and Noah’s Mills Small Batch cost between $4-$5. But Japanese single malt is the steal here. It’s maybe the only place left in Seattle where you can get a Yamazaki or Hibiki 12-year for only $7, and the most expensive was the Yamazaki 18-year, a great deal at only $14. 1524 Minor Ave., 206-467-4075 or stillliquor.com. Single malt costs more than American whiskey, which is why the half-off scotch Tuesday here is a gem. If you’re lucky, you can sample the rare Ardbeg Corryvreckan ($10.50) or Caol Ila 20-year ($20) before they’re gone. If $10-and-under is more your budget range, check out its extensive list of Lowland brands including the Balvenie 12-year DoubleWood ($7), Cragganmore 12-year ($8) and Auchentoshan American Oak ($9). 1410 12th Ave., 206-557-7430 or mccrackentough.com/theoldsage. Its 25-percent-off Whiskey Wednesday is arguably the most popular event of its kind on the Hill. The bar, connected to Olympia Pizza 3, can’t restock fast enough. Many bottles are sold out, but the selection is large enough to find a good American whiskey under $10, including the stellar bourbon from Angel’s Envy ($8). 514 15th Ave. E., 206-329-4500 or olympiapizza3.com. So maybe those discounted whiskey nights conflict with your schedule. Hillside’s regular prices are reasonable, with many ryes and bourbons going for $7 to $8. Generous pours, too. Come happy hour (4-7 p.m. daily), everyone drinks Evan Williams bourbon ($4). The bar is from the same folks behind the great whiskey dive Hooverville in Sodo. 1520 E. Olive Way, 206-324-0154. Liberty, 517 15th Ave. E., boasts one of the most extensive lists without price gouging. Sun Liquor, 607 Summit Ave. E., and Sun Liquor Distillery, 512 E. Pike St., both priced their American whiskeys at $10 or cheaper including the Russell Reserve 6 year. Dive bars Lost Lake Cafe, 1505 10th Ave., and The Lookout, 757 Bellevue Ave. E., have decent prices (around $8) on bourbons and Irish whiskeys.